Clean up and store toys in a hurry with this cute pattern! 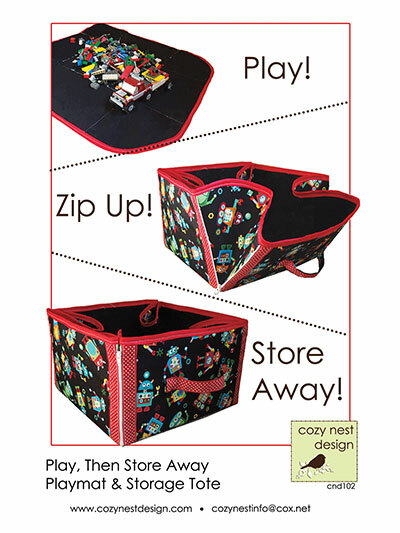 This play mat zips up into a convenient tote for easy toy tidying! 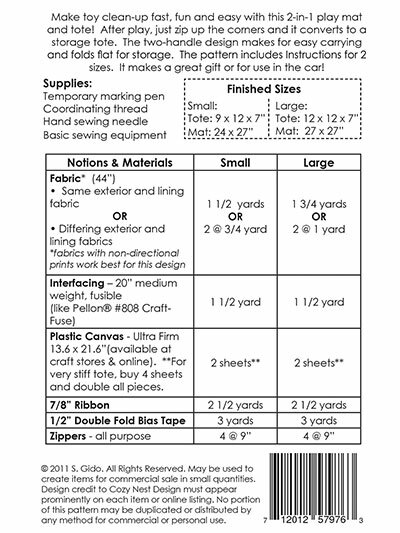 Includes instructions for two sizes: 9"W x 12"D x 7"H (mat: 24" x 27") and 12"W x 12"D x 7"H (mat: 27" x 27").